Currently being offered up via e-mail lottery until December 16th (HK time). Currently up for grabs via lottery until October 8th. Interested parties can e-mail LL7708003@163.com with the subject “Bundled”, being sure to include their name, Instagram name, shipping address, phone number and PayPal address. 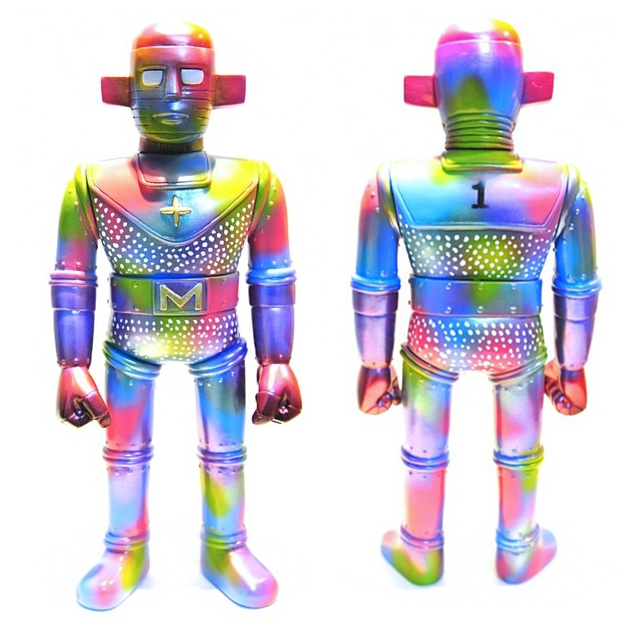 PLT Toy have teamed up with fellow HK-based artist Creation for a special “M” version Blood Maijin micro-run! Standing at around 9″ tall, consisting of 8 parts and coming complete with a detachable red wig, the hairy beast has been produced in what appears to be a white soft vinyl this time around, replete with masked and free sprays in red and yellow to mimic a certain nightmarish fast food clown. Limited to a run of just 8 pieces, each coming with uniquely finished eyes, these “M” Blood Maijin are to go on sale via email lottery for $250 each plus shipping. Fancy your chances? Then be sure to fire over your name, shipping address, phone number and PayPal address to LL7708003@163.com within the 24 hour opening starting Monday, August 1st HK time, being sure to include “I’m Loving It” in the subject header… Good luck to all who enter!